One thing you can count on with the Detroit Lions is that they are never, ever boring. Follow the latest news including injuries, roster moves and more here daily from Oakland Press beat writer Paula Pasche. Plus you'll find regular commentary about the team. With steady development in recent seasons, the Detroit Lions didn’t have as many vital roles to fill through the draft and rookie free agent signings for the 2014 season. Among the draft class and two rookie free agents, there were a few gems along with a few disappointments. Much is expected from all of them when they start the preparation for their second seasons. 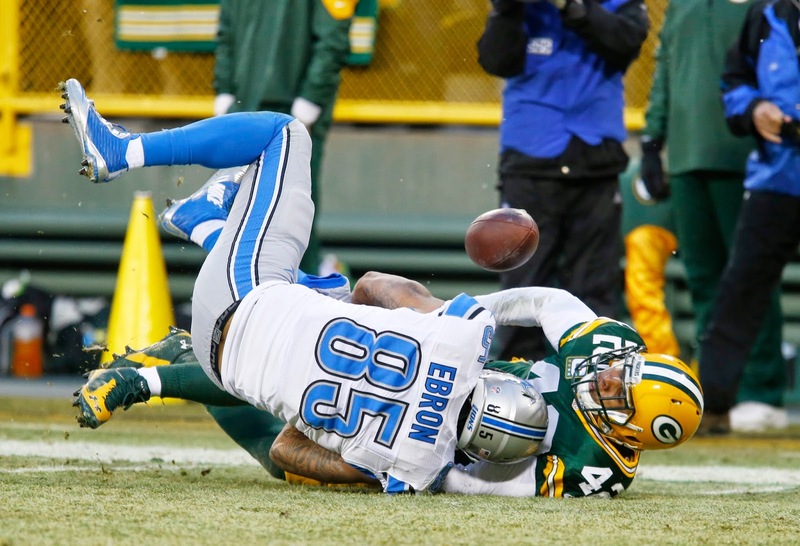 Eric Ebron (first round) — Much was made of the possibilities that Ebron brought to the offense — how he could create mismatches for the opposing defenses. It just didn’t happen. Coming out of camp he was the third tight end on the depth chart behind Brandon Pettigrew and Joe Fauria. Ebron made strides later in the season, but early on he often appeared lost — didn’t run right routes, missed blocks and didn’t make catches he should have had. The offseason will be key for Ebron. He needs to get the offense down and step up his game. Yes, the Lions have plenty of offensive weapons, but the door is open for Ebron to step up and take a larger role. Kyle Van Noy (second round) — The pass-rush specialist was slowed down considerably by sports hernia surgery in August. He sat out the first half of the season and then was gently eased into the defense. He didn’t see many snaps on defense in the final eight games. In his first game he was on the field for two defensive snaps. It varied but he never had more than 14 and was mostly in single digits. In the playoff game he was in on three defensive snaps. It’s an indication that he wasn’t able to step up and earn more time on the field. Van Noy needs a good offseason and to get a better understanding of the defense. He practices with linebackers and defensive ends. Yes, he has plenty to learn. He has to stay healthy and earn more snaps. This coaching staff doesn’t award playing time on the basis of draft order. Travis Swanson (third round) — The offensive guard/center was not expected to start the 2014 season — he was drafted to fill holes on the offensive line when Rob Sims and Dom Raiola are gone. 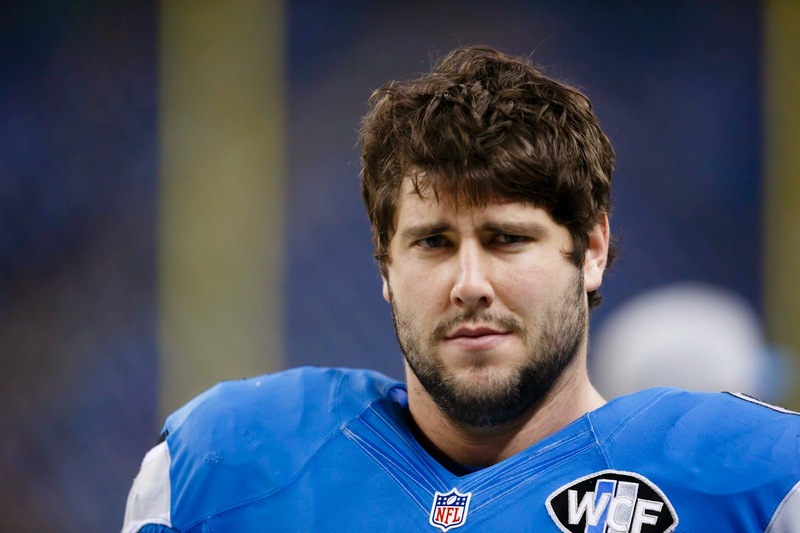 With the announcement this week that Raiola won’t return, expect Swanson to be the new starting center. Last season due to injury Swanson had to step in at right guard with four starts at the position. He wasn’t as good as Larry Warford but gained tremendous experience especially considering he was a four-year starter in college at center. He also started at center for the final regular season game when Raiola was suspended. A few of his snaps were a little shaky but Matthew Stafford was able to handle them. Overall it was a good rookie season for Swanson and much is expected for him when he takes over at center. Nevin Lawson (fourth round) — The cornerback gets an incomplete since he suffered a season-ending injury in the second game. It was a dislocated foot severe enough that he required immediate surgery that afternoon in Carolina. He had replaced Bill Bentley at nickel after Bentley’s season was ended with a torn ACL. Larry Webster (fourth round) — The big defensive end didn’t play one snap, but that’s not necessarily a bad thing. For the most part the defensive ends stayed healthy, so the coaching staff was able to bring Webster around slowly. Coach Jim Caldwell raved about Webster in December saying he’s made leaps and bounds in his ability to rush the passer in practice. He’s 6-foot-6, speedy (4.58 40-yard dash) and has quite a vertical leap (36.5 inches at the Combine). Nothing but upside. He made the 53-man roster out of camp because they didn’t want to put him on the practice squad and risk losing him. Caraun Reid (fifth round) — The Princeton grad got thrown into the fire with so many injuries at defensive tackle. The Ivy Leaguer needs to take the next step in the offseason. Playing with Ndamukong Suh he was able to learn from the best. He saw limited time in a dozen games. TJ Jones (sixth round) — The wide receiver was out all season, never able to return from offseason shoulder surgery. The wide receivers were basically a healthy group so his absence wasn’t really noticed. He’ll have a ton to prove in the offseason to find a spot on the 53-man roster. Nate Freese (seventh round) — Gone after going three of seven on field goal attempts in his first three games. Cornelius Lucas (undrafted) — The offensive tackle started three games (two right, one left) and played in 15. His star is rising, although much work to do for the 6-foot-9 Kansas State product. He can also move to guard if needed which it was this season with injuries to right guard Larry Warford and right tackle LaAdrian Waddle. Mohammed Seisay (undrafted) — Rookie cornerbacks in the NFL take time to mature. Seisay, who played at Nebraska, saw action in 13 games after a variety of injuries to defensive backs. He started the season on the practice squad, but was promoted in mid-September to the 53-man roster. Paula Pasche, a veteran sports writer, covers the Lions for The Oakland Press. She has written a book, "100 Things Lions Fans Should Know & Do Before They Die" which is available at bookstores and on Amazon.com. She won first place for column writing from the Society of Professional Journalists in Detroit (Class B) in 2011, 2012 and 2013 and was The Oakland Press 2010 Staffer of the Year.